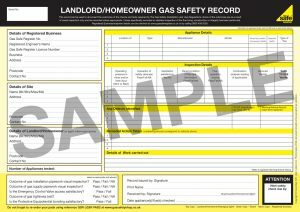 Both judges ruled in agreement that the changes made to the Deregulation Act in 2015 made it mandatory for the landlord to have ALREADY issued the tenant in a gas using property with a gas safety certificate WHEN S/HE SIGNED THE FIRST CONTRACT OF THE TENANCY. Also, they ruled that another/new safety certificate CANNOT be served to rectify this omission in retrospect. Therefore, if the landlord/agent failed in this regard at the outset of the tenancy, then if the landlord serves a Section 21 notice to quit and the tenant contests it, the latter has a very strong case to argue in court that the notice is illegal and invalid. There are various comments at the bottom of the article linked above which clarify some of the legal issues around the decision. On October 1 2018, assuming it is not overturned at the High Court, and as written in the Deregulation Act’s amendment of 2015, the ruling will apply not only to deregulated private tenancies but also to regulated ones. Hence housing activists need to GET MOBILISING around defending these ground-breaking judgements from any sneaky moves by the Tories and the NLA ASAP. This entry was posted in News and tagged Assured shorthold tenancy, County Court, Deregulated private tenancies, Deregulation Act 2015, Gas safety certificate, High Court, Section 21 eviction on March 20, 2018 by thebristolblogger.